Where: Zola Predosa (BO), Parking in front of Centro Socio Culturale "Giovanni Falcone". 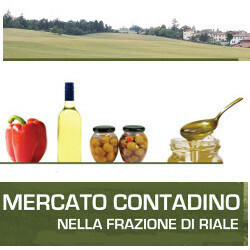 The Farmers' Market of Riale lies in a location whose territory is divided between Zola Predosa and Casalecchio di Reno. Adopted on a trial basis for now, this market is part of the irresistible trend to bring the consumer near to the producer, or the farmer. And this means freshness, seasonality, relation with our land and economy. The site identified is the parking in front of the Centro Socio Culturale "Giovanni Falcone". The market offers the sale of fruit, vegetables, honey, wine, meats and cheeses.